Admin site: Log in to edit and publish. 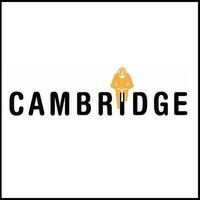 Cambridge City Council have commissioned Pilot Theatre and Historyworks to produce the Cambridge Cycle of Songs, an exciting new project that will coincide with Stage 3 of the Tour de France which starts in Cambridge on Monday 7 July. Noel Kavanagh, Cambridgeshire County Council Councillor, said: "This is an extremely exciting concept and one which I am sure will capture the imagination of our residents. The visit of Le Tour de France will be a day to remember for us all in July and I think we can all feel the excitement building throughout the city and county." The project is being funded by a grant from Arts Council England. Hedley Swain, Area Director, South East, Arts Council England, said: "This will be a wonderful opportunity for the people of Cambridge and visitors to really feel part of the Tour de France as its route passes through Cambridge. It will reflect the city's rich arts and cultural heritage and outstanding reputation for new technology by enabling audiences to access the nine choral performances - and the stories behind them - through a new app - ensuring the legacy of this special occasion remains accessible to everyone, both now and in the future. We are delighted to be playing an instrumental role in making this impressive activity possible." Cycle of Songs is also part of the Velo Festival’s programme of events for Cambridge. This festival will be celebrating the cultural and sporting heritage of the county, hosting a series of countywide activities run by local community organisations between May and September to showcase how cycling has become part of Cambridgeshire’s past, present and future. The Festival involves many events such as the Big Weekend in Cambridge, where Cycle of Songs is scheduled to occupy the Main Stage and Main Stage Marquee on Saturday 5thJuly between 3pm and 6pm. To be involved in The Velo Festival contact: thevelofestival@cambridgeshire.gov.uk or call 0345 045 5200. On the 11th May, Great St Mary’s Church will be hosting the Cycle of Songs’ free open-to-all public event for the launch of the project. People will be able to pop in and hear choirs singing favourite pieces from their repertoire for an afternoon of music with a relaxed festival atmosphere. There will be a live band & refreshments, plus family-friendly heritage activities will also be on offer at Great St Mary’s during the afternoon. Sam Hayes, Director of Music at Great St Mary’s says: “I’m excited we will be hosting musicians and singers from such a wide variety of choirs and groups for the Cycle of Songs launch, which will underline the long tradition of music and singing here in the heart of Cambridge”. Cambridge Music Education Outreach (CaMEO) is Cambridge University Music Faculty’s outreach programme. Their portfolio of activities include working with secondary schools, colleges and primary schools alongside community projects and public events. They are supported by grants from HEFCE’s Higher Education Innovation Fund (HEIF) and the University’s Active Community Fund. Their involvement in the Cycle of Songs will include working with and bringing together a number of children’s choirs to join in the celebration, as well as funding transport for the children to take part in the Cycle of Song’s Sing on the Steps event at the Fitzwilliam Museum on 7thJuly. Naomi Message, Bethany Kirby, Tizzy Faller, Choir Leaders at Sing! Michael Berkeley, Hannah Brock, Andrea Cockerton, Dave Cohen, Alex Cook, Tom Etheridge, Peter Gregson, Inja, Kirsty Martin, Sam Martin, Hollie McNish, Paul Richards, Gav Sirisena, Michael Rosen, Rowena Whitehead, Derek Willcox, Karen Wimhurst. All content © Copyright 2014- Historyworks Ltd.